It’s that time of year again when turfgrass professionals get to go on vacation for a week. But, it’s not a vacation that most would enjoy. Yes, it is usually in a desirable location; warm, sunny, fresh air and we don’t have to worry about managing grass. Actually we worry about managing our continuing education efforts and professional “networking” responsibilities. It’s a week long event that includes day long education classes, night long networking events, and day long trade-show activities that are spent researching ways to improve and elevate the agronomics and playability of our golf course. But, it’s fun! In a weird way this is a vacation to most of us. For some, more walking is accomplished this week than in an entire month. For others, it’s a week away from the normal everyday golf course activity that allows us to practice our “business” skills and learn. I know for most reading this that are not familiar with our industry you’re shocked. Yes, turfgrass professionals are also business professionals. We just get to spend all day in an outside office surrounded by an activity that you love playing. In order to improve and elevate yourself in the workplace, continuing education and professional networking is an absolute necessity for any industry. This week we are in the company of some of the turf industry’s leading and most innovative professors, business consultants, and golf course professionals. We return back to our golf course refreshed, revitalized, and educated in many aspects. This year, I am trying to improve my knowledge on the following topics: Event Management and Golf Course Preparation, Negotiating For Success, and 21st Century Leadership. 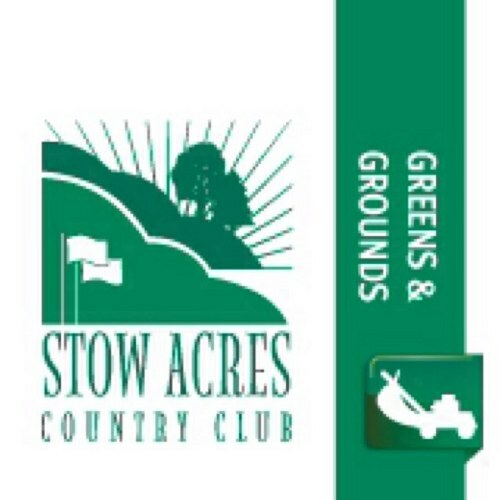 I feel that this class schedule is a great blend of agronomics and business that will help elevate the playing conditions at Stow Acres Country Club this year. Please stay tuned into this blog as I will post simple notes following each course! Are you in San Diego for the show? I am giving a talk on Thursday at the Tech Tips On the Half booth (#1055) at 1:30pm on Google Drive. See you there! Follow me on twitter @uriturf this week for periodic updates from the conference! Categories: A Word from the Superintendent... | Tags: education, tournament, turfgrass | Permalink.